Ten tips to get an edge when practice is called off. When a session or game is canceled it can be frustrating. You may even have a snow day, in which you have the whole day to improve yourself as a goalkeeper. Here are some ways you can gain an advantage over your competitors when they are sat at home watching TV. 1 – Build up your upper body strength. Goalkeepers need to have strong upper body strength. Use the time that a cancellation gives to improve your strength with a push-up routine. Normal, Wide, Heart to heart, Military, claps, and dippers are all different push-ups styles to do. Do 10 of each three times – Don’t forget to stretch after. has a number of different challenges you can do over 30 days. One of which is push-ups. If nothing else….. get started with day one of the push-up challenge now! 2 – Stretch. Often a neglected part of our game and a lack of flexibility can reduce our performance in goal. Use the down time to stretch hamstrings, quads, hip flexors, groins, glutes and back. 30 seconds on each stretch – Do three repetitions. 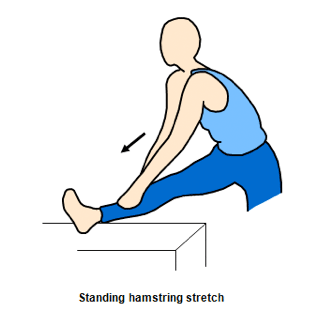 Hamstring stretches. 30 secs hands level with knee, 30 secs hands level with ankle, 30 secs hold on to foot. 3 – Be a student of the game. At Goalkeeper HQ, we believe there are three pillars of coaching. Evaluation, Knowledge and understanding and repetitions. By having a practice canceled, you are only really missing out on the repetitions. You can evaluate yourself or other goalkeepers by watching a game or highlights if time is short. You can gain knowledge by reading up on goalkeeping. Try typing a topic in the search bar to the right of this page and see what goalkeeping article comes up. You can even take one of the Goalkeeping HQ Education courses here. When watching a game, look out for positioning, different distribution techniques and range of goalkeepers coming for crosses. 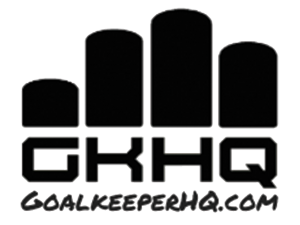 Goalkeeper HQ offers a service where we evaluate part of your game. See the service here. 4 – Get your equipment in order. Wash your gloves, clean your boots, rinse your water bottle, check the quality of your gloves, size of undergarments etc. Ensure your equipment is not an excuse for poor performance. You can purchase the new L1 Goalkeeper Gloves here. 5 – Get a cardiovascular work out. People think goalkeepers are lazy. We should be one of the fittest members of the team. Use this off time to get the heart pumping. If you can’t get to the gym, give yourself a routine that can include stair runs, Jumping Jacks, Burpees, High Knees, Push ups, and sit ups. Do each for 1 minute with 30 seconds rest in-between. Do each routine three times. 6 – Get your homework done. The extra time off might be the perfect opportunity to get your homework done. By getting it done, you can fully focus on your game or next practice without stressing about project deadlines for school. 8 – Practice ball skills. Goalkeepers need to be comfortable with the ball at your feet. Use the time to be comfortable with the ball at your feet. You can practice in a 5×5 area. Top taps, foundations, inside & outside of the foot, figure 8 using inside & outside of feet, turns etc. For an indoor goalkeeping challenge, try this from one of our goalkeeping challenges. 9 – Research your opposition. Check out your league wwebsiteto see who you are playing next. Where are they in the League? How many goals have they scored? Who is their best goal scorer? 10 – Fill out your self-evaluation. How did you play in the last game? Where can you improve? What was your distribution success rate? How many goals that went in were your fault? Are there any trends in the goals that go in? – i.e. balls to left, crosses, 1 on 1’s?